You'll get 12 (or 6) weeks of focus on your own health and body. 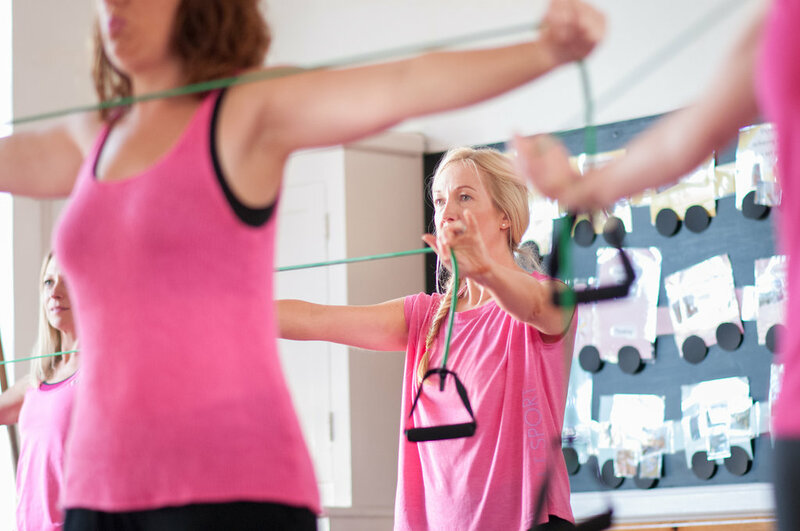 Through education, discussion, exercise and relaxation we'll take you on a journey to a stronger core & pelvic floor and improved overall wellness. Weeks 1 - 6 we all meet as a group for our sessions and you'll be provided with homework videos and tasks to follow at home, to do as often as you have time for. Weeks 7 - 12 you'll be provided with video workouts to do at home that will be picking up the pace a little to improve your overall fitness and really engrave good habits. You'll still speak with me once a week to check on your progress and also regularly receive lots of motivational tips and wellness info to help you along with your journey through a Facebook group. During the first 6 weeks of the course, you will attend face-to-face group sessions. Our group sessions are relaxed, informal and light-hearted. You'll meet and go on a journey with other women similar to you. Each session is a mixture of discussion, teaching, exercise and relaxation. You'll float out of each session feeling like you have worked hard but also got that much needed 'me' time. We end each session with a meditation, a caffeine free hot drink and a small healthy treat to send you on your way home. 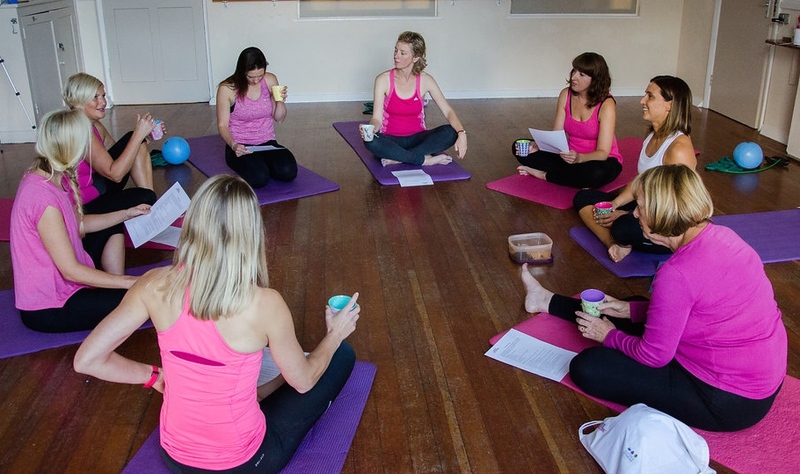 Do you want to know more about your Pelvic Floor, Core and Overall Health? Do you want a better looking belly but know it’s an inside-out job, so need to go deeper and work smarter than just doing ‘sit-ups’? Have you seen a clinician about a low-level Prolapse and been told to ‘do your Pelvic Floor exercises’ as part of your management strategy? See the videos at the bottom of this page to get more information about the course. In short, those 'squeeze and lift' exercises also known as Kegels, simply aren't the whole story. They are great for practicing when you have just had a baby and have little sensation, but they don't make you strong for when you add movement into your life. Your Pelvic Floor and Core muscles don't exist in isolation. The movements that you make and how you breathe all affect these muscles. And so for your Pelvic Floor and your entire Core to work as it was designed to, we need to re-introduce it to the rest of your body and get it to do its job in time with your breath and movement and whilst your not necessarily 'thinking' about it as well......just like it used to do before you had babies or before you reached the Menopause. This programme takes into account both CONSCIOUS Pelvic Floor and and Core work and UNCONSCIOUS work too through movement timed with your breath. It's kind of the 'belt and braces' approach and ultimately.....it's effective in 6 weeks, and truly well established HABIT with improved results in 12 Weeks. It's time efficient and thousands of successful and happy women testify that IT GETS RESULTS! Dates below are start dates and continue for 6 weeks, unless stated otherwise. Next course: Monday 25th February 2019 7:30pm Heene Community Centre, Heene Road, Worthing (If you would prefer a daytime course, please let me know as when I have enough people I will run one, I will do so). Either reserve your spot for just £50 deposit, or pay in full to get the earlybird rates until 25th January. I am planning a daytime course to run in the Spring sometime. Please let me know if you are interested in this. The first two sessions of each course is 2 hours and all subsequent weeks are around 1 hour. The course lasts 12 weeks in total. The first 6 weeks are face-to-face classes and the second 6 weeks are delivered to you to complete in the comfort of your own home and in your own time. The sessions get harder throughout the 12 weeks as your improve your pelvic floor control, we are able to also improve your fitness. You must be able to attend in person the first two sessions as a minimum. If you would rather attend just the first 6 weeks this is an option for you, however, we have found that to really install permanent change in your behaviour, 12 weeks is better. It is essential to book early as there are limited numbers per course and they usually sell out. There are also discounts for booking more than 1 month in advance (see below). If you attend the 6 week course and then decide you'd like to carry on for the second 6 weeks, you may purchase this at the time for £80. Why do 12 weeks instead of 6? Because we really want to embed these behaviours to be life long changes. Plus workout levels increase, building you up slowly as you get fitter and stronger. If you wish to pay by credit card, I can take these payments via paypal or using a credit card machine. Please ask for this. Do you need an internal examination? Once you have paid a deposit/full balance I will send you through a pelvic health screening form. In some instances I can see that women have issues that need to be checked with a Womens Health Physio before attending the course. I work closely with Claire Yuill who is a mummy MOT practitioner. If I feel you will benefit from an internal exam from her I will let you know. Feel free to contact her yourself if you would like your pelvis looked at anyway. A few words from previous attendees. You can also find further written testimonials here.